A statue of Ethiopia's Emperor Haileselassie has been unveiled at the headquarters of the African Union on Sunday. 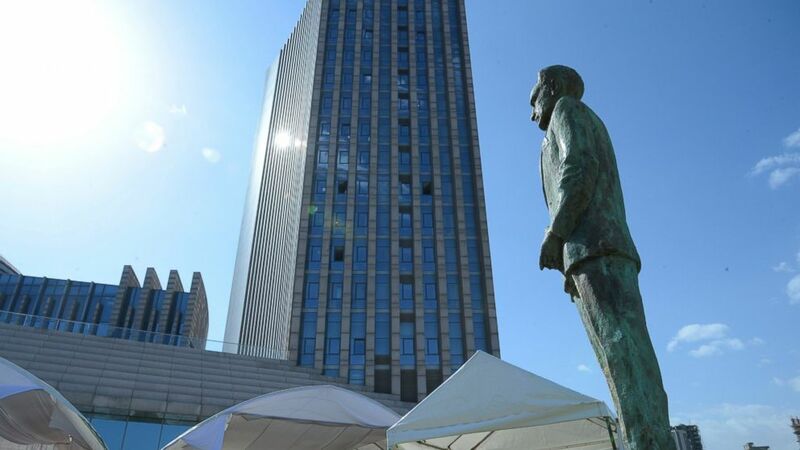 The statue is the second to be erected inside the continental body's offices in Ethiopia's capital Addis Ababa, after one of Ghana's first leader, Kwame Nkrumah, who championed pan-Africanism. Ethiopians have cheered the statue's erection, the first on Ethiopian soil since Haileselassie was mysteriously killed at the age of 83 in 1975 when a military junta called the Derg overthrew the imperial dynasty that existed in Ethiopia for 3,000 years.